I've obviously been watching too much royal news coverage because the first thought I had when I saw this DVF blouse was "Princess Diana". Between the puffy sleeves and the ruffled collar, it reminds me of Diana's early years (and the clownish collars that appeared on so many Sunday dresses in the early 1980s). The collar of this Diane von Furstenberg top is a bit too much for my personal taste, but I appreciate the nostalgic value, especially this spring. DVF Keoni Ruffle Blouse ($198) from Neiman Marcus. Love the collar and the look! But not everyone can wear it, of course. 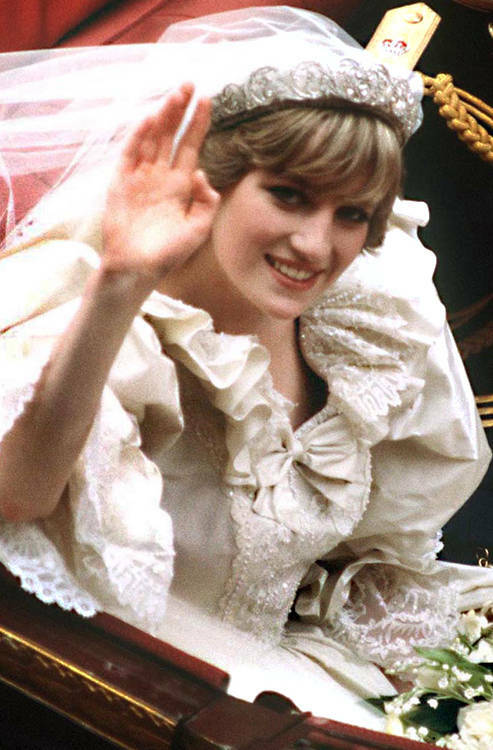 Princess Di was a beauty. I hate those collars so much, I cannot express . . . anything, just hatred. Huge collars, tiny collars, puffy sleeves large and small, ties and ruffles and bows. I am a woman, not a baby. Princess Diana was a beauty. 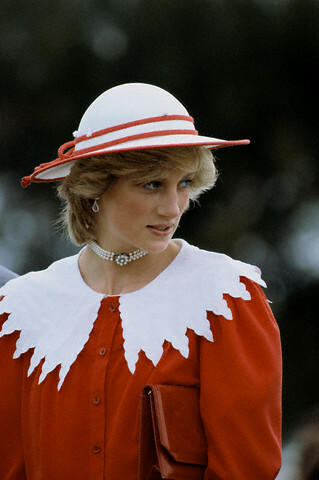 The first thing I thought about after seeing this blouse was Princess Di! I have been shoppping and it seems like thee are blouses like this everywhere. Not too flattering on many figures I'm afraid. 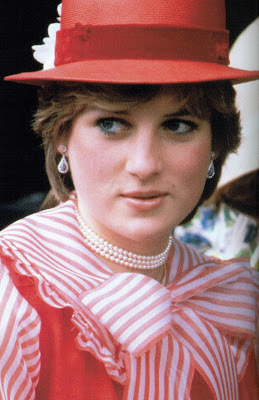 I MISS Princess Diana very much. I hope things will go better for Kate Middleton. As for the blouse....what fully adult woman would or could wear it? It would be better on a woman no older than her mid 30s.